The Beginner’s Mind! ** Approaching 12-12-12 ** A Few Detox Tips! Gosh! It has been quite a while since placing words to paper but I am here now, at least with a short posting today. Yesterday I made it over the hump with the creative project I have been immersed in for the past three weeks plus. Friday and Saturday I hit the proverbial brick wall, making the task at hand way more complicated than necessary…..walks, self-talk, stepping back to gain objectivity and a good dose of ego surrendering finally cleared the way to the obvious solution and voila…..ease in creation once again! Why, when we know better, do we allow the analytical brain to take charge (even for a short time) and throw everything off course! In this case I believe it was to take me to the place of “the beginner’s mind”……the place of innocent exploration of new and uncharted ways of seeing and doing…..the final message that pounded through my intuitive mind was “simple, simple, simple…..keep it simple! And this advise we forget all too often in the everyday hustle and bustle of life! Another reason for engaging a beginner’s mind. When creating, teaching and most especially when writing instructions, it is vital to go back to the beginner’s mind and put oneself in the shoes of those who will be reading and using the instructions. All too often when lessons and instructions are written without due diligence vital “obvious steps” are missed or assumed the reader will know…..and we have all been there….the pieces don’t fit, a step is missed and what is suppose to be easy is anything but! Part of being an expert is to also remember how it feels to be a beginner! I will be keeping you in suspense a few days longer as to what “the project” is about…..only I will say that I plan the official launch on 12-12-12..the final gateway. Can you feel the intensity building? 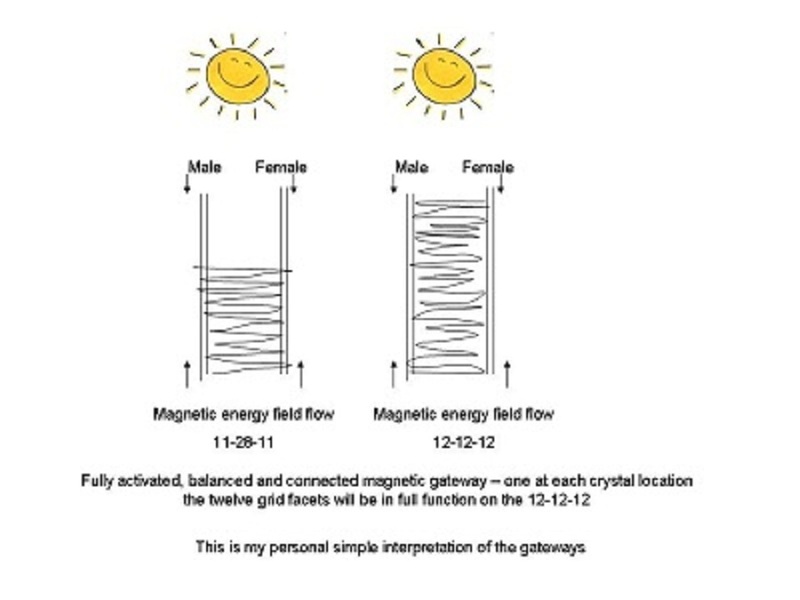 This weekend marked the midpoint between the galactic gateway initiation on 11-11-11 and the final galactic gateway initiation on 12-12-12 when the last crystal grid activation will take place, namely the Ruby Fire Crystal of Energy in Bimini and the Sacred Crystal of Thoth in Bolivia. With much for you to explore in the articles by Tyberonn and others you will find on Spirit Library I will sign off for now. During these next two weeks pay attention to what is happening, leaving, coming into and grabbing your attention in your everyday life and relationships. Use as much intuition as you can to make decisions and actions to take….be gentle on yourself and others and get rest as much as possible. With the tremendous increase in magnetic/electrical/vibrational frequencies swirling around our bodies can get overloaded more easily. For the past two weeksI have been having regular detox baths (4 days apart) using epson salts, baking soda and sea salt ( a cup of the first two, half a cup of salt). Inexpensive and effective and feels wonderful afterwards. I use coconut oil on the skin afterwards. Very important…..drink a lot more good water everyday to hydrate yourself….try to stay away from chlorinated city water. Until we connect again…..Many Blessings to All! New Post Coming Soon! Great Gratitude and Thanksgiving! For the past three weeks or so I have been immersed in a new creative project and not written nearly enough……give me a few more days to get over the hump and more will be on the way. And also an insight into what is being created…I am excited out it! If you haven’t heard about this movie yet…now is the time ‘Thrive” you will see the world quite differently by the end…a must see! The information is not new, just ignored by most…..storyline puts all into perspective on how YOUR lives are affected everyday! Until our next wandering together……..
Awaken! Awaken! It Is Time! 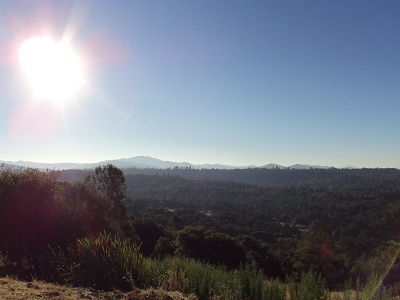 This morning, wrapped in a warm blanket to protect from the cool mountain air I sat in meditation. The warm southern sun feeling so good after several days of clouds, cold, rain and blahs! As the cocoon warmed, the mind stilled and partially emptied of thoughts and dialogue…..peaceful. This week is huge as most of you know. The big build up to 11-11-11 and another full moon heralding yet more dynamic shifts in the energetic and vibrational life forces on Earth and within Humanity. Awaken! Awaken! It is the time! The mind chatter started and this phrase kept repeating itself within me…a meditation in itself! As its continued force moved to cells and the blueprint matrix of all fields within and around me became aware….Awaken! Awaken! It is the Time! I/We have been waiting for the tangible signs of this most intangible phenomenon….they are here yet they are not! Then my mind took me to remember some of the many clues from days gone by of perhaps Who and What I have incarnated for in this Lifetime. As I share these very few pieces of awakening for me, I encourage you to also follow the awakening threads of your journey thus far….what is revealed to you? The very earliest memory I have is of 3 years old, before my brother was born. 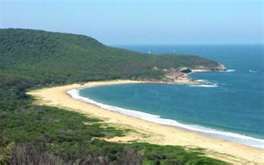 Living on the waterfront in Palm Beach, north of Sydney (back then it was a days trek to get there from the city.) Standing near a large tree (mother took a photo of me and the tree that day). A group of nuns in black habits come to the beach to swim. They all started taking off the layers of clothing and it was when the veils started coming off revealing bald heads that I became frightened and hid behind the tree. Laughingly, they spoke and tried to coax me out, I stayed out of deep curiosity more than anything. Of course we all know nuns don’t strip off their clothes and swim…..I know this was a visit from other worlds! In the warmth of the morning sun I went back into quiet time within the mind……another memory came back. This was when I was 6-7 years old. My father, along with another engineer, started building tape recorders in a small garage in Cremorne, a suburb of Sydney. Not long after that he opened “Magnetic Sound Industries” on George St, Sydney. For anyone living in Sydney between the mid 50s to early 80s, my father Peter Clark, was known as the Sound Magician and he really opened up the tape recorder and Hi Fi industry in Australia. He could hear the tiniest change in sound, he knew how create combinations of equipment (speakers, amps, tape decks, etc) to get as perfect a sound as possible back then. He taught me to hear and listen and feel sound frequencies. That image moved away and the sun warmed my face and body…stillness again. Around 13-14 years old the world expanded again. Sitting at the window in my bedroom, holding the treasured “transistor radio” with the antenna extended out of the window searching the skies for radio stations from other parts of Australia and the World. Most every night I would do the same ritual. Using the dial to tune into the radio frequencies able to penetrate the atmosphere and ignite the crystals within the radio…..I could hear the world coming to me…sometimes in English…mostly in other languages yet it didn’t matter, I was just enthralled. Living on the other side of the world in the stillness of my night and connecting to other worlds! Hands of Healing appeared and a vision of the Hathors. Ancient, light-filled, beyond Earth…..hands held up and light energy eliminating forth, dancing along the vibrational waves all around. This was Me remembering how and why the knowledge of Light Healing Power was/is activated through me in this lifetime all the way to today. Through experience I have witnessed incredible events and healing and know there is so much more to be received as We Awaken! This vision continued moving through my ages of 8 years old until today…..the young dancer whose body moved and flowed with the technical training of a classical ballet dancer…..and always it was through my hands came the greatest expression…..energy flowing and moving through and out, touching others. These days I speak a lot with my hands. It is so special to watch another’s eyes catch sight of light, energy and colors flowing as I speak…..making the intangible, tangible, so to speak! Quiet again, mind is still and sun is continuing to warm……. A diamond patterned tapestry is on the wall before me. I am sitting at a table surrounded by others at a dinner party. The woman opposite me makes mention of a recent trip to Egypt. Behind her, a diamond moves and opens….and then becomes dimensionally deeper into the tapestry and wall. I am traveling into the diamond light, further and further into this tunnel…..not seeing yet knowing there are rooms or places behind the light….moving deeper in yet still hearing voices on the outside of the vision. Light expanding into a room/space of vibrant light vibrating with beauty. I had reached the inner space within the diamond within the Great Pyramid but it is not the one known as Giza….it is one within one, within one, yet to be found! Under the light are scenes of lower light, people playing with genes and machines, Dr Who comes to mind….scenes of desolation and pain are dissolved as I hold and witness…..Awaken! Awaken! When the time is right Diamond Light will Activate! As Light begins to change I move backwards out of the tunnel, back through the diamond pattern and rest quietly in the chair again….all eyes turned toward me puzzled and curious. The explanation I gave then could only scratch the surface and was suffice for then. Part Three of the message from Metatron by Tyberonn awakened all of this again. As yet another activation of the massive communicating crystals of the planet will occur on 11-11-11, with a prime focus on the Arkansas Mountains another memory came forth…. Of the time in October, 2000 when I went of Vision Quest in those very same mountains, activated by the crystal power deep within the core. I am in gratitude of all those in my life journey thus far who have been friends, lovers, teachers, creators and co-creators. Many know who you are, many others do not know how you have touched my life and been part of my AWAKENING. We often have no idea how we affect and effect others….I hope I have touched some lives in the same way and been a Seed of Awakening for them.